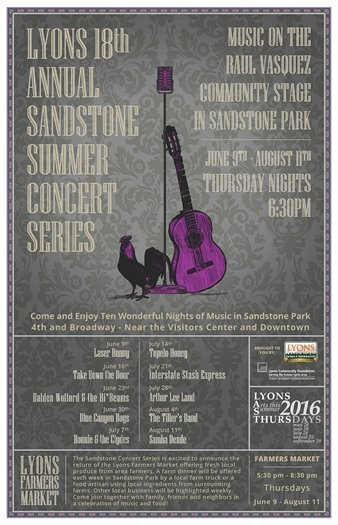 This Thursday, Lyons Last Thursdays Art Stroll and the Sandstone Summer Concert will be held concurrently! Bring the family downtown to redeem a $5 voucher to spend at any participating restaurant or shop, then head over to Sandstone Park for some funky live music! To receive a $5 voucher, look for the costumed characters around town, and fill out a quick survey - that's it! Don't miss out! Open Town Hall Art Show themed "The Giving Tree" will hang July 2nd through September 30th, 2016. Artists of all ages & stages of artistry are welcome to submit up to 3 pieces! Collaborative multi-generational creations are encouraged as well. Open to ready-to-wall-hang photos, fabric art, writing, painting, collages, computer art, etc. responding to "The Giving Tree" theme. Each piece must be accompanied by a wall placard that includes: Title, Artist's Name, Medium, Price if for sale, Artist's Contact Info. All art will be received @ Town Hall on FRIDAY July 1st (4-7PM) - ALL work MUST be picked-up FRIDAY September 30th (4-7PM). 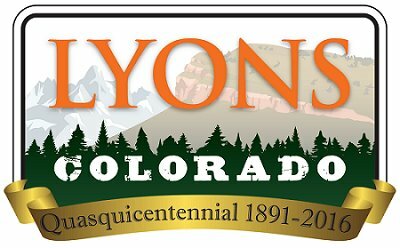 July 2, from 6 to 8 p.m.
Wine sales benefit Lyons Arts & Humanities Commission; Music by Norma Pfaff & Bob Story. For more information, contact Lyons Arts & Humanities Commission Chair, Chrystal DeCoster, or view the commission's Facebook page. Construction for the LaVern M. Johnson Park, previously Meadow Park, is still underway, and due to contractual and other complications, the anticipated public opening of the park has been rescheduled for September 2016. More details to follow. 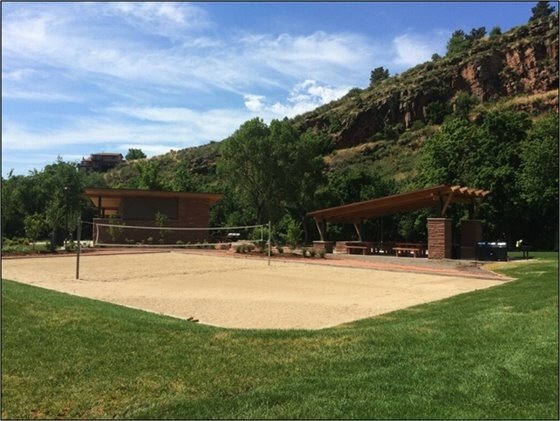 Check out the progress made on the park's sand volleyball court! Photo taken June 29. To date, all the business driveways on East Main St. have been poured, and leads anticipate each driveway to be cured and open by end of day Friday, 7/1. Additionally, project leads also estimate most of the sidewalks along the East Main St. stretch to be open to the public by Friday. 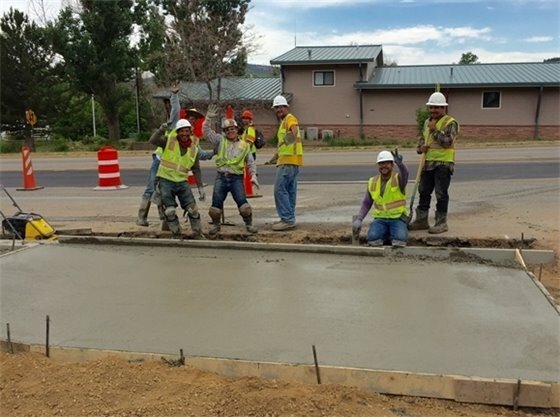 Town engineers intend to reduce road work signage and barricades within safety parameters, for visually low impact during the 4th of July weekend. Boulder County Parks and Open Space will be hosting a public meeting for the South Saint Vrain (Reach 4b) Creek Restoration Project, led by their consulting team which includes Matrix Design Group and others. The meeting will focus on reviewing alternatives for post-flood restoration along the South Saint Vrain project area. The planning area for the project includes the area from the narrow of the canyon to the eastern most Old South St. Vrain Road Bridge. For more information on the meeting, click here. Please come to provide the group with your input to ensure a successful project! Input can also be submitted online via the project website.